Want to get a taste of your upcoming vacation before you even leave the house? 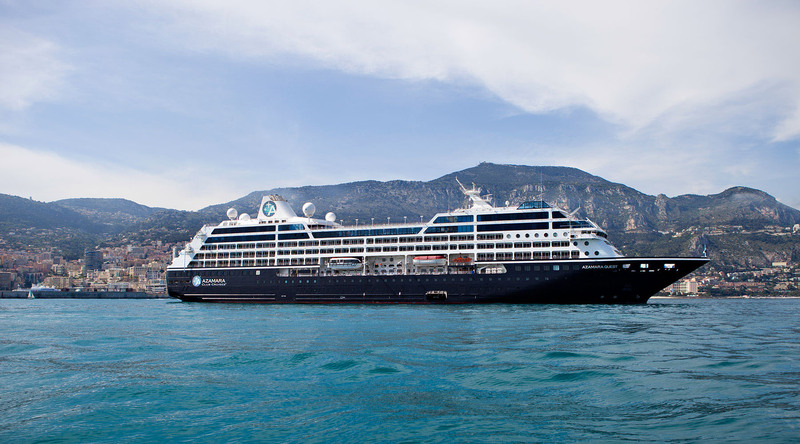 Now you can with Azamara 3DI, the latest groundbreaking (and seafaring) innovation from Azamara! Here at Azamara, we tend to see the world differently, especially when it comes to cruising. We already spend longer in port than any other cruise line. We offer such inclusive amenities as international wines & beers and select spirits (big cheers to that! ), plus, our complimentary AzAmazing Evenings are truly unprecedented and trendsetting—although so far, no one else has pulled it off like we do…if we do say so ourselves! Well, once again, Azamara is ahead of the cruise line curve, as we’ve pioneered a new way to learn about cruising with Azamara 3DI, a 360-degree virtual reality tour that takes you from your stateroom to some of the most fascinating ports in the world. Officially launched at Travel Massive in New York City on April 16th, Azamara 3DI not only lets you explore onboard and take part in Azamara Shore Excursions, but you’ll also see and hear—literally!—the sights and sounds of what makes us such a unique destination-focused cruise line. How did we do it? Through 360-degree filming during the 12 Night National Parks of Panama Voyage, we created a fully immersive virtual reality experience, which is viewable through a virtual reality headset, or on your computer or mobile device. Simply go to Azamara3DI.com, where you’ll find several immersive experiences including zip lining, a horse and carriage ride through Cartagena, and so much more. It’s that easy. And it’s that uniquely Azamara. So once you’ve seen Destination Immersion® experiences in virtual reality, make sure you start planning your next voyage, so you can see everything in “real” reality!